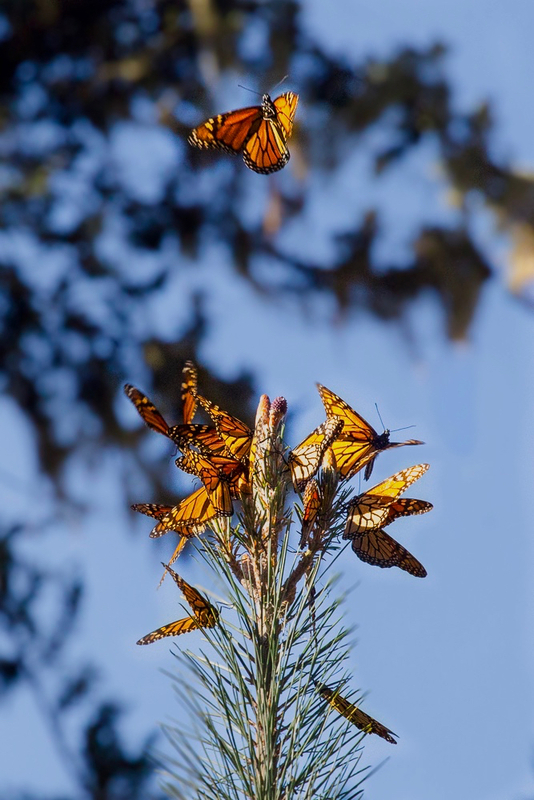 For those of you who live where the snow wouldn’t stop and the rain kept coming, I give you monarch butterflies. A little something to remind us that spring is just a few months away! Please follow me around the circle to see what my uber talented friend Jessica has ready for us! What an amazing shot Sarah! You are adept at capturing nature at its very best. Beautiful! Thanks for the glimpse of what we have to look forward to although I doubt I will see anything as awesome as this! They come through Texas… I am sending you a very interesting Texas book, I hope it will be a surprise!